Bye-bye Wolfie! What a lovely morning! 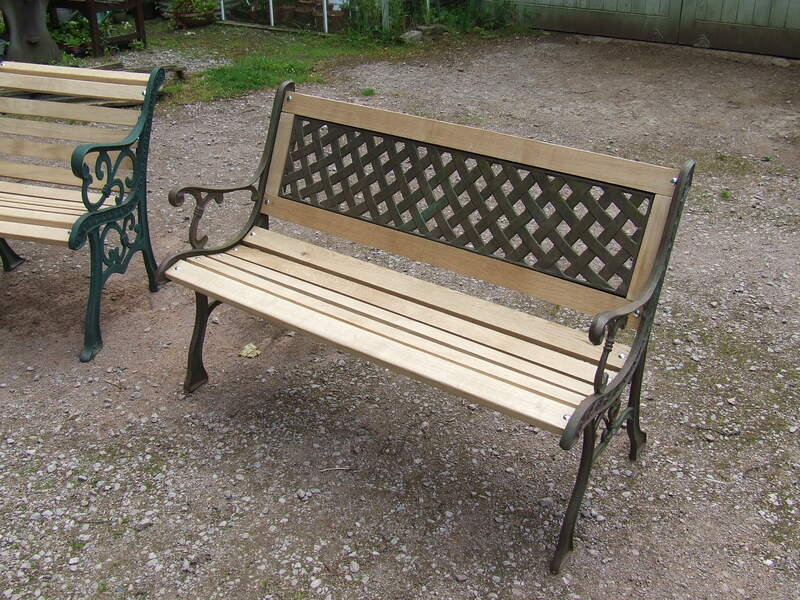 Since the garden Open Day in May, I’ve had a couple of bench “commissions” and though I say it myself they look pretty good. 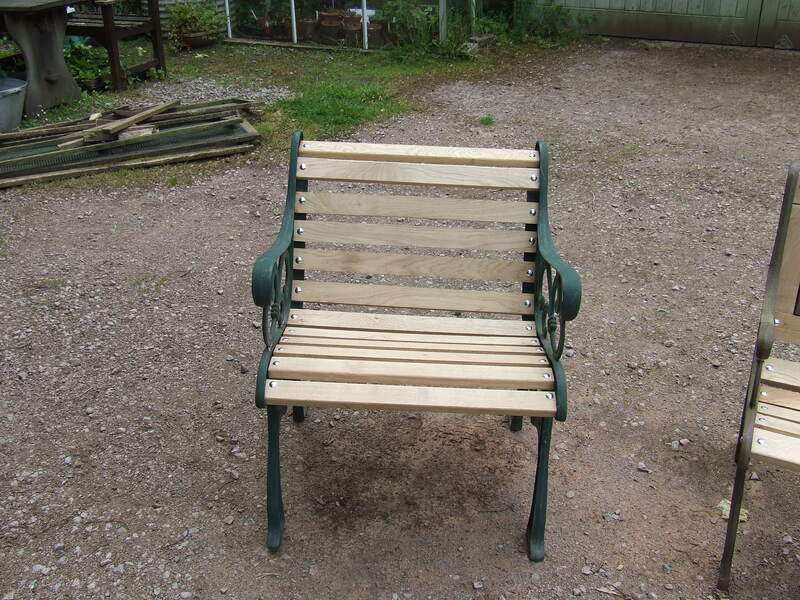 The bench is a repair and the seat a new build using a couple of ends from the auction. I now have a good supply of nice oak that I can fashion to most usual sizes and a collection of ends and backs for people to choose from. 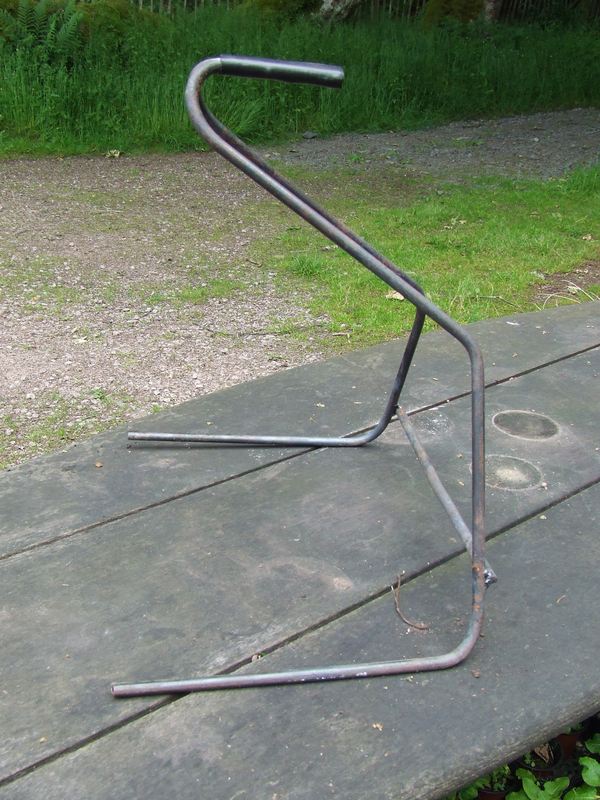 In addition to the benches I’ve been making plant supports and also these interesting little items…..
…first seen at an NGS garden in Somerset, a pair of these will allow you to carry two trays of seedlings at a time – think of the time and effort saved!! 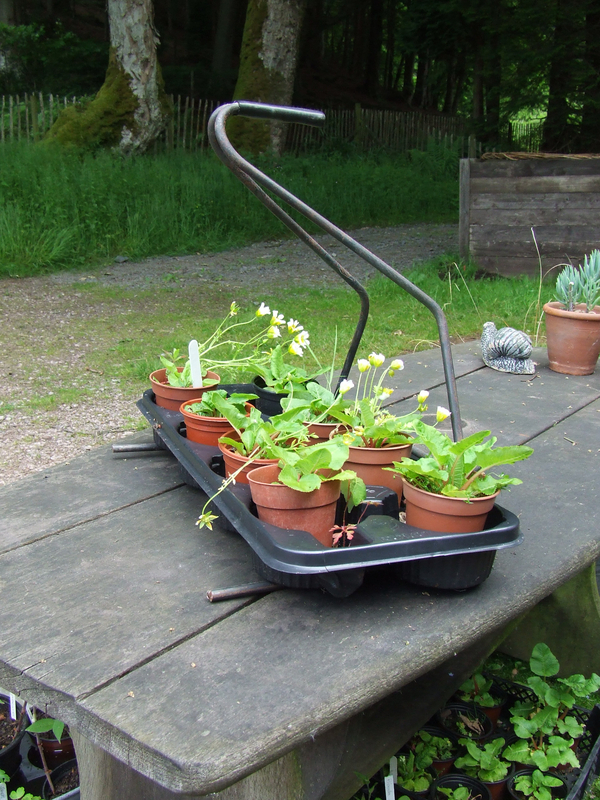 Come on you gardeners, get ordering! 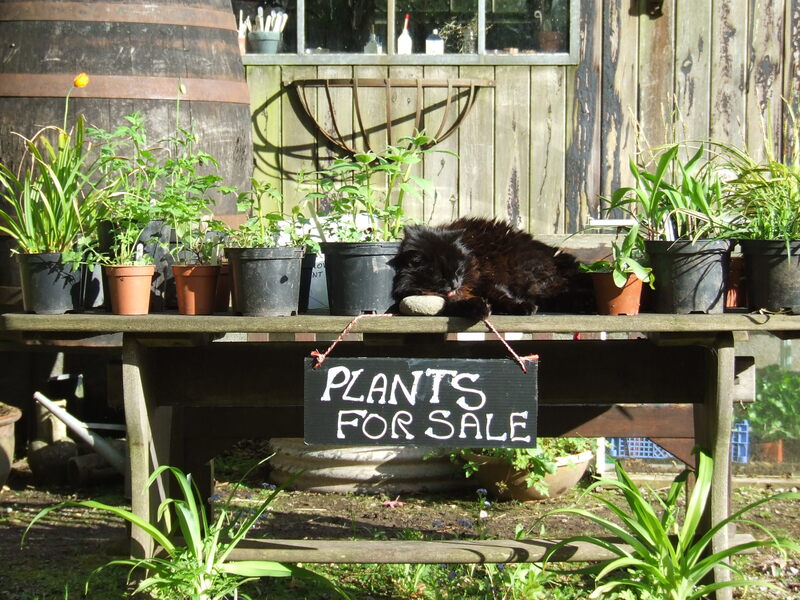 A couple of other garden accessories are the cats, Emily and Smudge, who are seen here (on the same day) putting their respective talents to use! 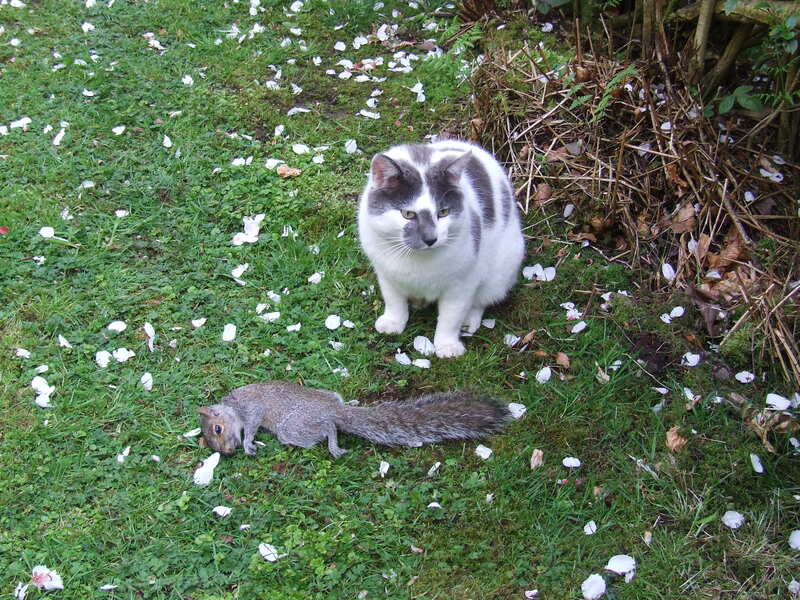 …and yes he really did catch it.